Open Box Ahead Drum Silencer Pack with Cymbal and Hi-hat Mutes 10, 12, 14, 14 and 20 in. 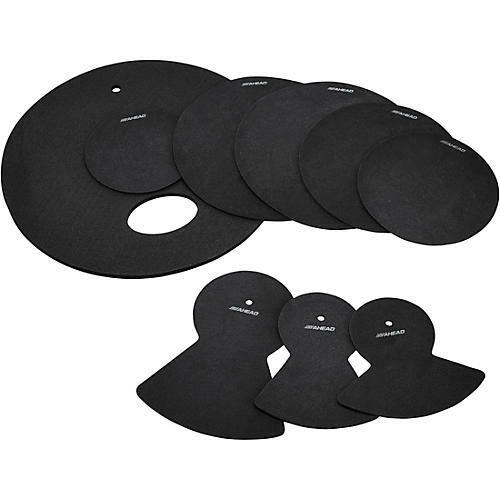 Set of drum and cymbal muting pads. Contents include silencers for hi-hat, crash and ride, apart from drum silencers. Ahead Drum Silencers not only muffle the sound of an acoustic drum set to an astonishing degree, It does so without dramatically altering the rebound behavior of your drum set. Lightweight and effective. Select specific sizes from dropdown menu. Sizes are based on typical 5-piece configurations. Drums, cymbals and hardware sold separately.